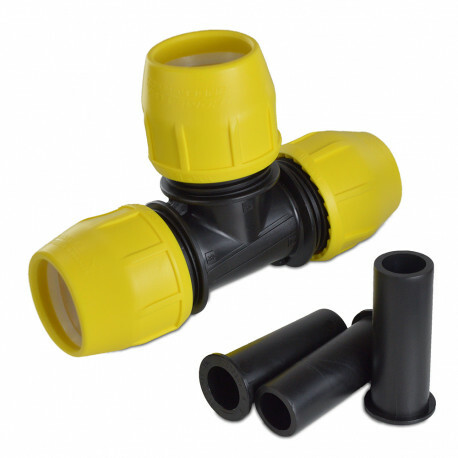 This tee connects (3) 2" IPS (SDR-11) size PE gas pipes together in a T-pattern, allowing to branch off a main line. Package includes (1) compression fitting and (3) pipe stiffeners/inserts. No special tools required. See installation manual for detailed assembly instructions.